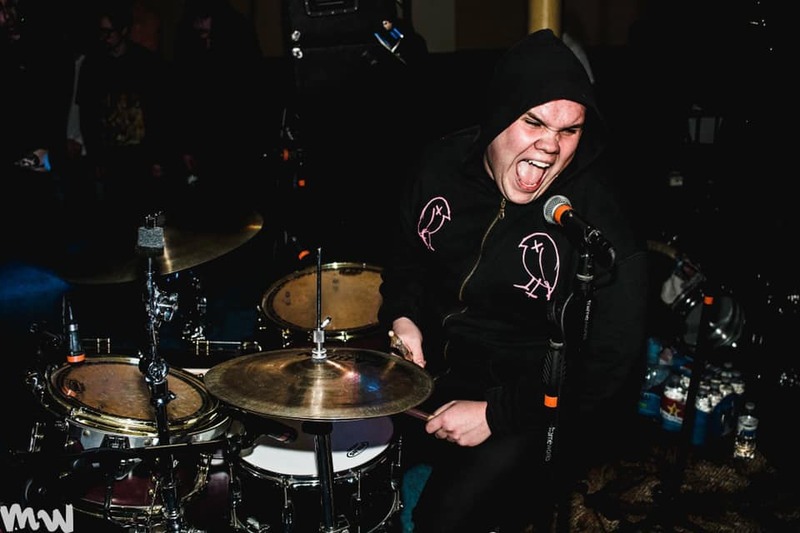 Wristmeetrazor (not WristMeetRazor, have some class) are an elegant, barbed screamo triad whose debut album, Misery Never Forgets, is so impeccable, so addictive that we decided to praise it twice. That may appear hyperbolic on paper, but much of what this band has done here and prior, down to their very name, is resolute, earnest and gravely serious. This earnestness is the backbone of Misery Never Forgets, the support that keeps all its roiling melancholy restrained, fitting it all to bursting in its nine tracks. 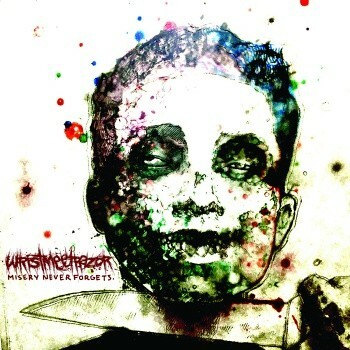 To be concise, Wristmeetrazor manage to be unwieldy without succumbing to outright chaos. This adherence to getting their own point across is as much about reigning in their would-be cacophony as it is about refraining from becoming a metalcore pastiche (more on that later). There’s a refreshing approachability to Wristmeetrazor’s newest material, or rather an openness that doesn’t alienate, instead offering a biting solace often neglected by their peers. There is a unique ear required to enjoy screamo, and a paragraph or two is lifted from Pg. 99 (that is to say nothing of the tone-setting album art by Chris Taylor), namely in execution and the prestige with which it is all dealt. “Loathsome” and “In Line for Halos” play like genre classics, enacted with such care that their executors take time to show their own enjoyment, ending the latter track with surprising groove and melody. There’s good reason “XOXO” was the first track they revealed; it does everything this album does in a blurring 90 seconds. The tracks swells, rising and falling like a gushing blood flow, relentless and itching ever closer to an out of reach climax: this is Wristmeetrazor firing off all loaded chambers. This expertise carries into the excellent “He Smiled From Ear to Ear,” a heartbreaking kindred track to Kodan Armada’s touching “No Has Never Had 3 Letters.” “He Smiled From Ear to Ear” supplements brute force with stinging honesty, stabbing artery-deep to where it counts, counting it as the album’s most emotional touchpoint. There are moments on Misery Never Forgets where it threatens to buckle under the meteoric aggression of When Forever Comes Crashing, instead twisting the collapse into creativity, giving rise to feral beauties like “Expiry Date: 12 Hours.” It’s these startling moments, amid the frenzy, where the panicked guitars dive, the drums careen, the bass sighs and the vocals snarl for release, that Wristmeetrazor’s songwriting gleams. “No More Blue Tomorrows,” cast in the creative shroud of The Underdark, just barely eludes such a slight comparison, instead quickening its dirge, drowning its remaining sorrows before draining away in a fluttering, last heartbeat. Reared on an inspirational, steady diet of The Cure and Nirvana, Bruce Hardt-Valenzuela has been channeling his musical affections into writing for over a decade, including his continued tenure as a staff writer for CVLT Nation and Invisible Oranges. Raised in Rhode Island, Bruce currently lives with his husband and too many cats in Tucson, AZ.